Item # 313819 Stash Points: 2,495 (?) This is the number of points you get in The Zumiez Stash for purchasing this item. Stash points are redeemable for exclusive rewards only available to Zumiez Stash members. To redeem your points check out the rewards catalog on thestash.zumiez.com. Give your wardrobe some fresh color and hip hop inspired style with the Biggie Baby Kanji Yellow T-Shirt. 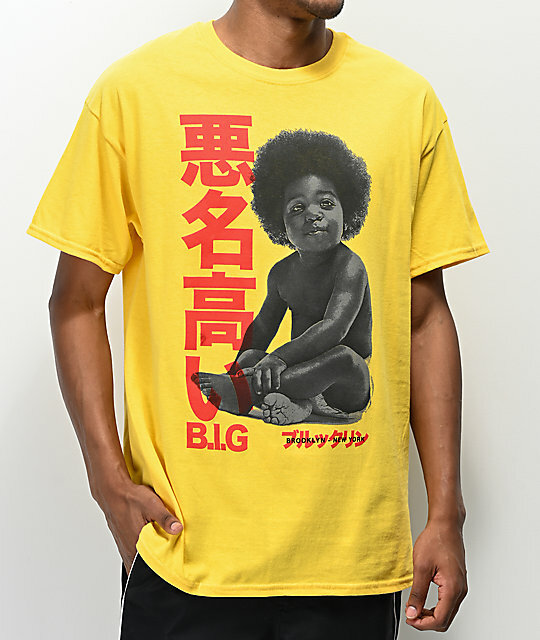 All-yellow throughout, this t-shirt is additionally tagless for comfort and features a large screen-printed image of baby Biggie Smalls at the center chest with accompanying kanji script for original flair. 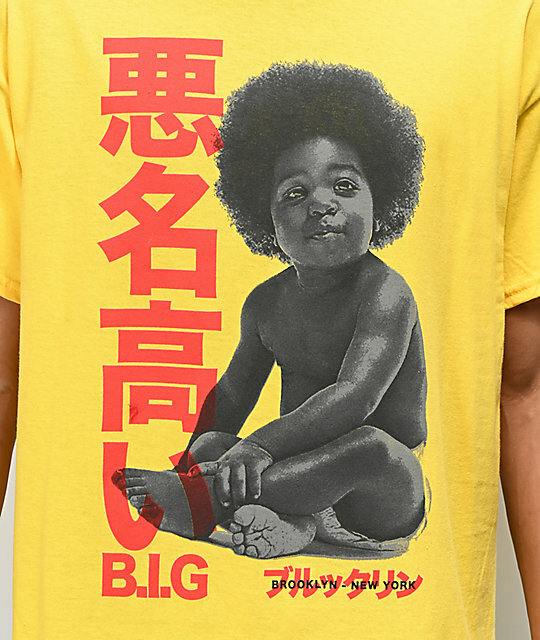 Biggie Baby Kanji Yellow T-Shirt. Screen-printed baby biggie graphic with accompanying kanji script.